Smartphones are ubiquitous. They are used by teenage girls and septuagenarian CEOs alike. Because of their versatility, today’s smartphones have numerous use cases in the enterprise & small business sector. It is no surprise then, that there has been an explosion in the corporate use of mobile devices, over the last 4 years. Be it a corporate owned iPad, or an employee’s own Android smartphone - all of them have their place in today’s workplace. Because this trend has emerged so suddenly, there are a few minor kinks surrounding the use of these devices in the workplace. As spammers, identity thieves, corporate vandals, “activist” hackers, and other culprits get smarter, the smartphone is quickly becoming a prime target. Think of all the sensitive data stored in the inbox of an employee, for instance. Wouldn't it be easy to steal this data given physical access to a phone? There are many other sophisticated, electronic methods of snooping on this data as well. It is remarkably easy to get malicious applications onto Android smartphones and jailbroken iPads alike. Then there is the problem of employees using the entertainment features of the device during productive hours. Access to a device camera can even help facilitate knowledge transfer to unintended recipients. Codeproof was developed to help solve these problems. 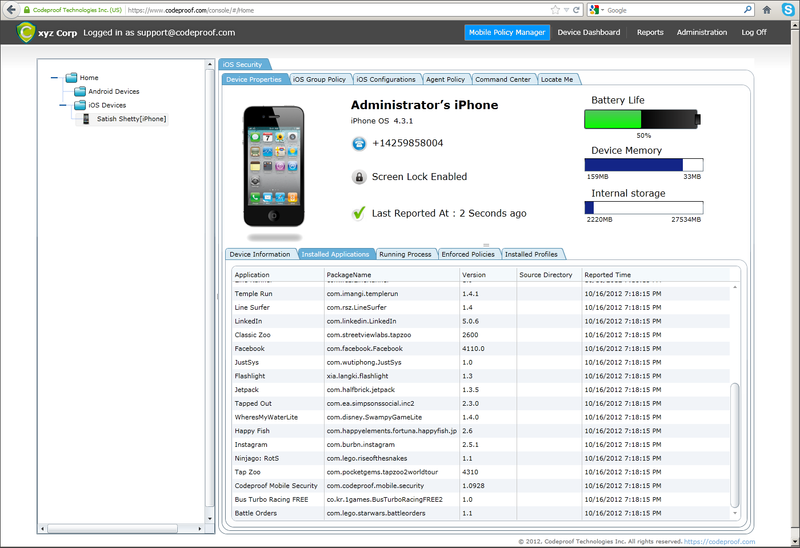 Codeproof is a powerful and easy to use application that helps IT admins secure BYOD & corporate owned devices. 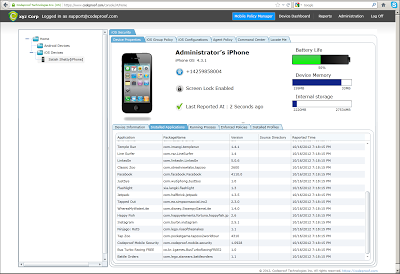 With Codeproof, you can set administrative policies (such as turning off device cameras, blocking the appstore, enabling privacy controls, or restricting other features to enable kiosk use), detect jailbroken devices, scan installed apps for viruses, secure & monitor ActiveSync, track the GPS location of stolen devices, deploy apps to multiple devices, or remotely wipe all data stored on a stolen device. Unlike other mobile security applications, Codeproof requires minimal setup time. There are no digital certificates to install, and servers to install on company computers. Setup merely involves signing up online at www.codeproof.com, and then installing the Codeproof app on devices. The user friendly web console requires absolutely no training or prior knowledge to operate. Simply click to track down the physical location of a stolen device. Another click, and you can delete your sensitive data before it falls into the wrong hands. Here's a step-by-step guide for setting up Codeproof. 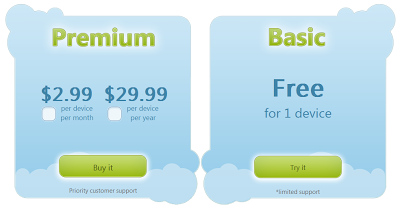 The signup page provides information about price plans, and then leads to a small form to fill out. Click create account, and complete payment processing. Installing the app is just as easy. Go to the app store of your Kindle Fire, or any iOS or Android device, and download Codeproof. Can’t find it? Click here. Launch the app on the device to register it using your Codeproof account. 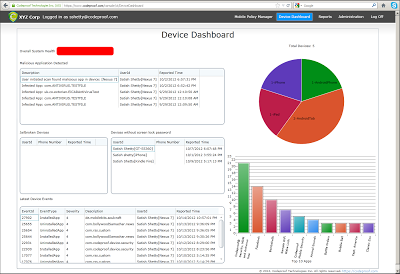 Now you can log in to Codeproof’s Mobile Device Management (MDM) Web Console to manage all your company’s devices in one place. Since Codeproof runs on Amazon’s servers, the service comes with the same legendary reliability and performance. Being hosted in the cloud also means you never have to worry about keeping servers updated, and about how to push changes out to individual devices. If the device is online, it will connect to the Codeproof service in the cloud seamlessly. Codeproof believes that the only way to make our devices secure and productive in the workplace is to make the process as simple as possible. Don’t you agree?